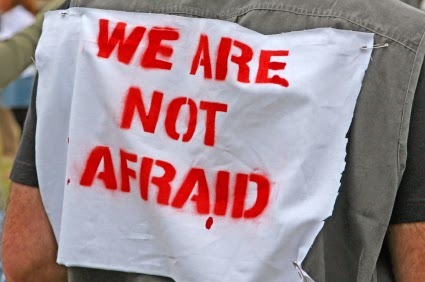 The possibility of arrests does not rattle Sabahans and Sarawakians, said Sabah Star chairperson Jeffrey Kitingan today. He stressed that the fight for their rights would continue even if he himself is arrested. On the contrary, Jeffrey said a government crackdown would provide additional impetus to their struggle. “I do not intend to prepare for anything and I will just pray. Any arrest will be good for the struggle for Sabah and Sarawak. “It will get stronger and eventually lead to the separation of the Borneo states,” he declared in response to threats of arrest against alleged secessionists. In a strongly worded statement, he said before carrying out any arrest, federal leaders need to understand that Sabah and Sarawak agreed to the formation of Malaysia. “If the basis for the formation of Malaysia is not honoured, Sabah and Sarawak have the legal right not to continue with Malaysia. “In such a scenario, the de-merger or dissolution of Malaysia would be the last and forced option for Sabah and Sarawak,” he added. The Bingkor assemblyperson said such a move would not be treasonous. However, he added it would be treason only if Malaya or the peninsular government refused to honour the agreement for the formation of Malaysia. Yesterday, Deputy Inspector-General Mohd Bakri Zinin (right) said the police have identified those responsible for calling for the secession of Sabah from Malaysia. He said they would be investigated for allegedly making seditious statements. Should there be a dragnet for treason, Jeffrey said, the police must instead target those involved in Project IC and the issuance of dubious identity cards to foreigners and making them Umno members as well as Sabahan voters. “The evidence is all in the RCI hearings,” he added. Delving into history, Jeffrey said the issue of secession does not arise at all. “In 1963, Sabah and Sarawak merged with the Federation of Malaya and Singapore to form Malaysia and partly to help solve their problems. “In 1965, it will be noted that the federal government and the government of Singapore signed the separation agreement even before the matter was tabled for approval in the federal parliament on Aug 9, 1965. “Wouldn’t it be secessionist and treasonous for the separation agreement to be signed before it was tabled in parliament? “Wouldn’t the calls by Umno leaders, religious bigots and Malay extremists to chase out other Malaysians be separatist, seditious and treasonous?” he asked. He said that the real issue at hand now is that the people of Sabah and Sarawak are unhappy and have the right to voice their unhappiness. “Sabahans and Sarawakians realise they have been taken for a ride and cheated by Malaya in the name of the federal government. Malaya has taken over and treated Sabah as a colony. 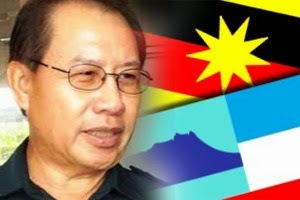 “The federal leaders should take a drive round Sabah and look at the reality of the situation,” he added. The Malayan leaders, he said, would be committing the “greatest sin” against Malaysia as well Sabah if they arrest the people to shut their voices. “The world is watching,” he cautioned.